Time (actually past time!) for another question-and-answer post. Thanks for reading my blog, and thanks for comments. I like to keep track of the questions you ask and answer them every few months. As always, if you’ve made product suggestions, I’ve passed them on to our product development team. 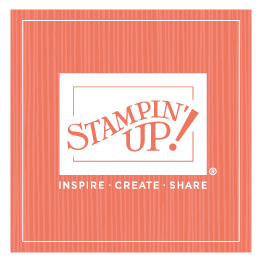 And if you’ve got questions or comments about Stampin’ Up!, please e-mail ds@stampinup.com. Our DS agents are awesome, and they’ll help you more quickly than I can! Also, occasionally one of you will ask if you can e-mail me directly. You’re welcome to send something to Demonstrator Support to my attention—the agents always forward those to me. Confession time though—I’m terrible at reading my e-mail; sometimes it takes me weeks to wade through it all. It’s actually faster to send a letter to my attention; I always get those as well. In my case, snail mail is usually the way to go! I had an amazing time at Convention and you've done an amazing job portraying the fun through pictures. I have been looking for pictures of Sara's projects—the ones she shared using banners and kits from the Holiday Catalog—and the approach of using those kits for monthly events. Does she have a blog where she would post that? Or will Stampin' Up! post photos of these projects? I actually had Sara guest blog here a few days after convention, where she shared both the projects and the outline for the monthly events. Why was your grandson crying in the pool? This was in reference to a back-to-school blog I posted when most of the grandchildren came to the house and rode horses and went swimming. Although the photo looks like he’s crying, he’s actually not—he had major allergies and had been outside riding horses. When I took that photo, we were waiting for the Benadryl to kick in. (smile) Nobody ever cries at Grandma’s house if I can help it! They are Arabian—aren’t they’re beautiful? Several of you also asked for an update on Kadie following our accident; we did blog about that here. So glad you’re recovering so well from the accident. Do you think you’ll ride again? Absolutely—I can’t wait! I’ve already been back up on Kadie; read about that here. I’m focusing on gaining my strength back right now and taking it baby steps, a little ride (walk) here and a little ride there. Also, in one of his “hacker” blogs, Sterling mentioned that he thought one of the things I’d appreciate the most was if you reached out to others by sending a card to someone who may need it or share Stampin’ Up! with someone. So many of you mentioned specifically what you did (Shelli Gardner Day on World Cardmaking Day, organizing fundraising, sending cards, etc.). Every time I read those comments, I smiled and felt so blessed and grateful to be working alongside such amazing, unselfish people. Thank you! Also, thanks for the many suggestions you’ve given regarding the various health challenges I’ve faced (dizziness, pain, walking, etc.). I’ve read them all, tried many of them, and felt your love and concern. I appreciate your thoughtfulness and concern! Seems like you usually have a pajama party during the Advisory Board Retreat. Are those matching pajamas that the board members are wearing <link>? Every board decides among themselves whether they’ll have matching pajamas and things like that; they often present me with a pair at the party. This year they chose to do T-shirts and yoga pants. Although I was recovering from the accident and couldn’t spend the time with them I wanted to, I definitely enjoyed their visit to my house during the retreat! How do you choose which quotes and phrases to use on stamps? Can demonstrators make suggestions? Of course! So can customers—or anyone else, for that matter. We received suggestions for greetings, as well as images, fairly regularly. They are all sent to our stamp development team for evaluation. If you’d like to make a suggestion, you can post it here and I’ll forward it. Someone posted a picture of the granola that was given out at Founder’s Circle. Is it the same recipe that Sterling made a few years ago at the employee appreciation breakfast? I wasn’t at Founder’s Circle, so I’m not sure. I know that we have that recipe floating around in the home office, so it’s likely. It’s delicious, by the way! If you’re looking for an awesome healthy, homemade granola recipe, check it out! What is a Rising Star? Who are this year’s Rising Stars? Rising Stars are new demonstrators who have been with Stampin’ Up! 18 months or less and hit certain significant milestones in building their businesses. We bring them into the home office and honor them for a few days—it’s a great way to thank them for their great efforts and encourage them to keep it up! Do the million-dollar achievers get to stamp with you in your home studio? And yes, so far they have each chosen to spend some time with me creating in my stamp studio. I’ve loved it because it’s such an amazing opportunity to get to know these demonstrators better and feel of their passion and commitment. We work closely with each million-dollar achiever to create a home-office experience that is perfect for that specific demonstrator, including food and activities. How is Liam doing? I miss reading Shanna’s blog. . .
For a short time, when Shanna and Jared first received Liam’s diagnosis, Shanna made her blog private, but she has since started a public blog; you can read it here. They have moved back east to be close to medical care, and I MISS THEM! But Liam is doing well, and Sterling and I are heading out to visit them soon! I can’t wait!!! I think you should be aware though that the two-fingered salute your grandson is doing in one of the photos could be seen as a bit of a rude insult in Britain. I know it is only a British thing and am sure he wouldn't know this but thought you would want to! You’re correct—he had no idea (neither did I), and several of our UK demonstrators even commented that they weren’t offended. But I’m always appreciative of demonstrators who share cultural insights with me; that’s one of the very fun things about being an international company! I love learning about different cultures and traditions. I love the scarf and head warmer you’re wearing on your blog header. Where did you get them? I got those years ago and can’t even remember where they came from. So sorry. . .